14 km to the city centre of Afyonkarahisar. 170 km to the Airport. Breakfast venue * cafeteria * lobby bar * restaurant bar * indoor restaurant (250 pax). 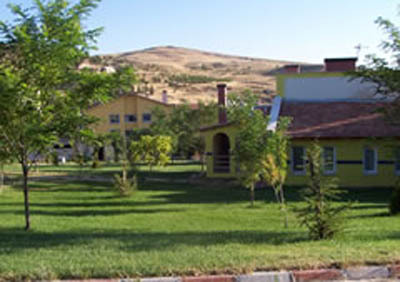 Semi-Olympic swimming pool * Turkish bath * thermal pools * sauna * fitness center. 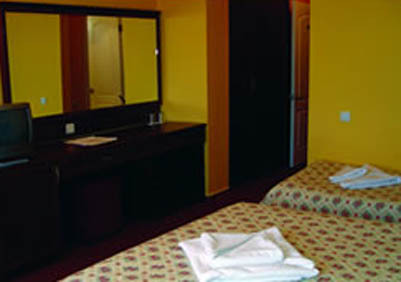 Massage * thermal & spa services * billiard * table tennis * minibar * room service * snack bar * bottled water and all drinks. Jacuzzi * thermal water * satellite TV * minibar * telephone * central heating system * balcony * hair dryer.